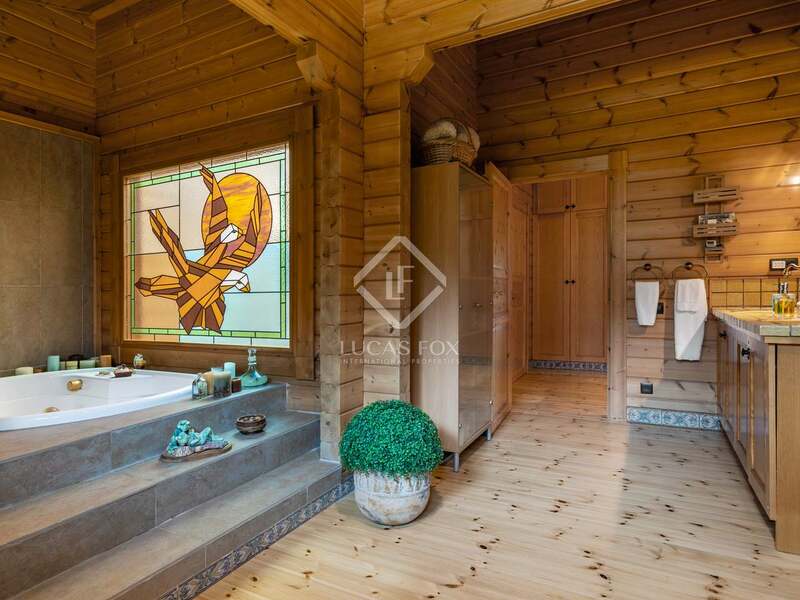 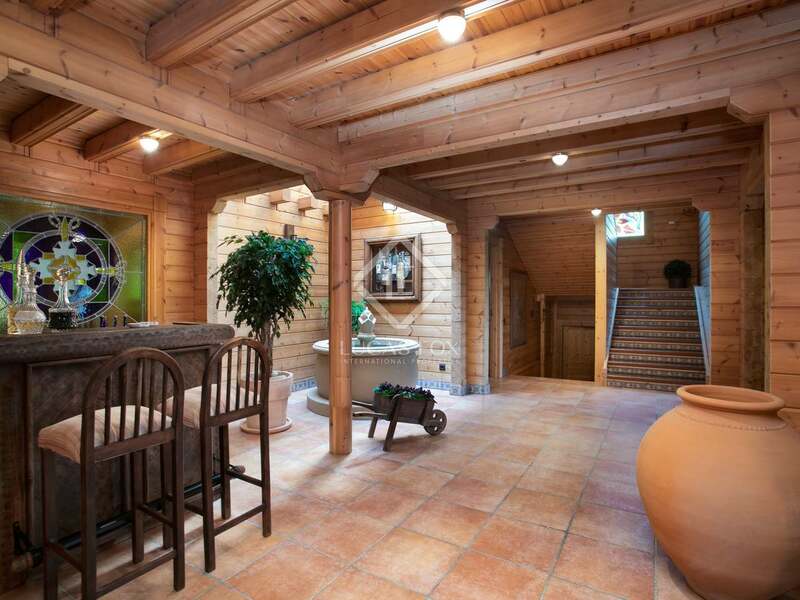 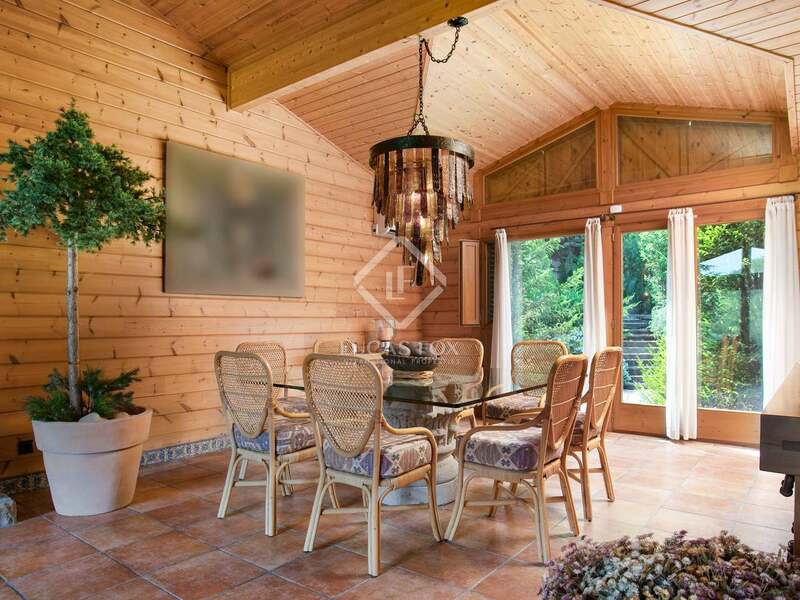 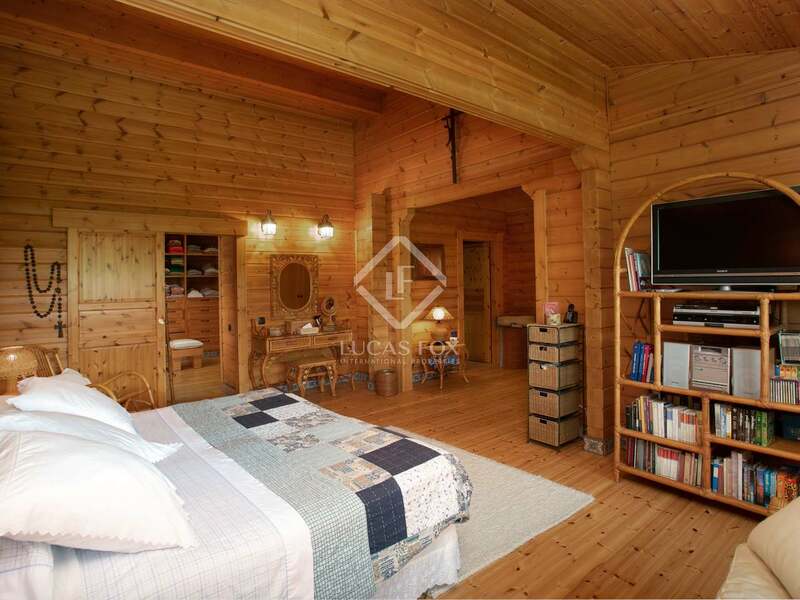 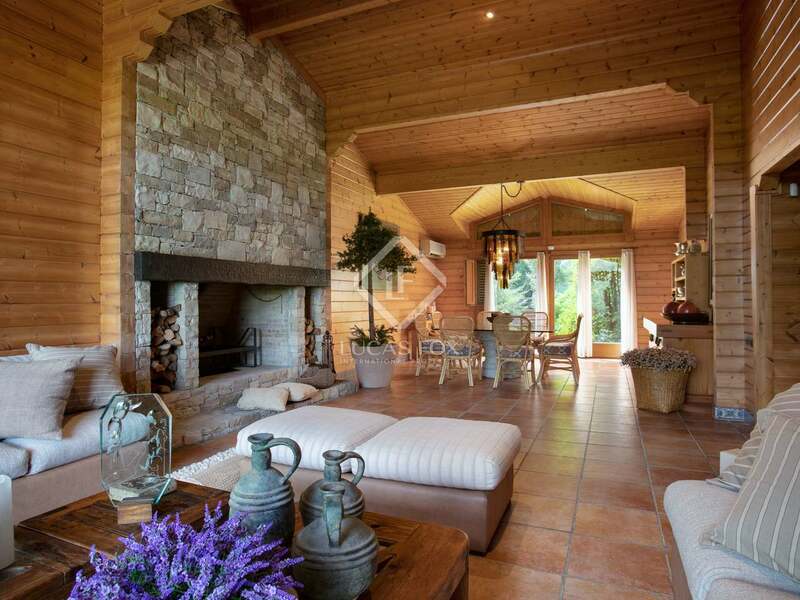 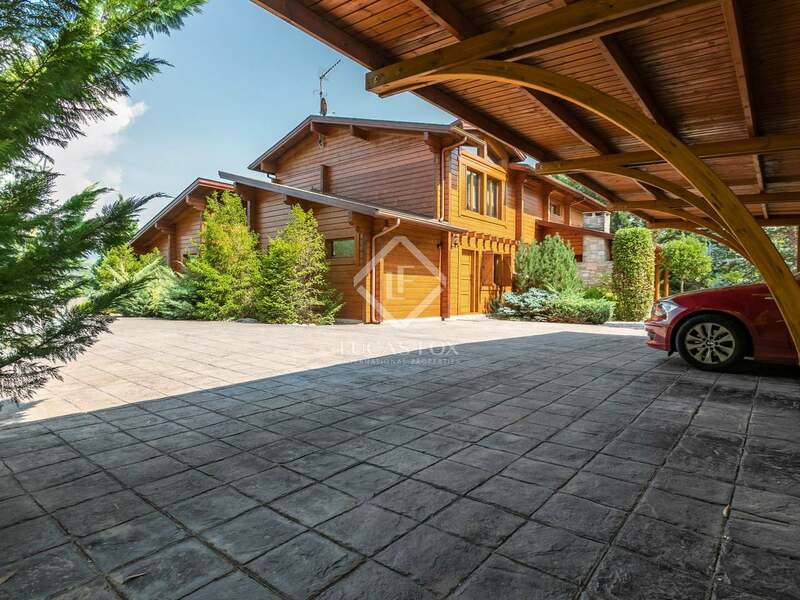 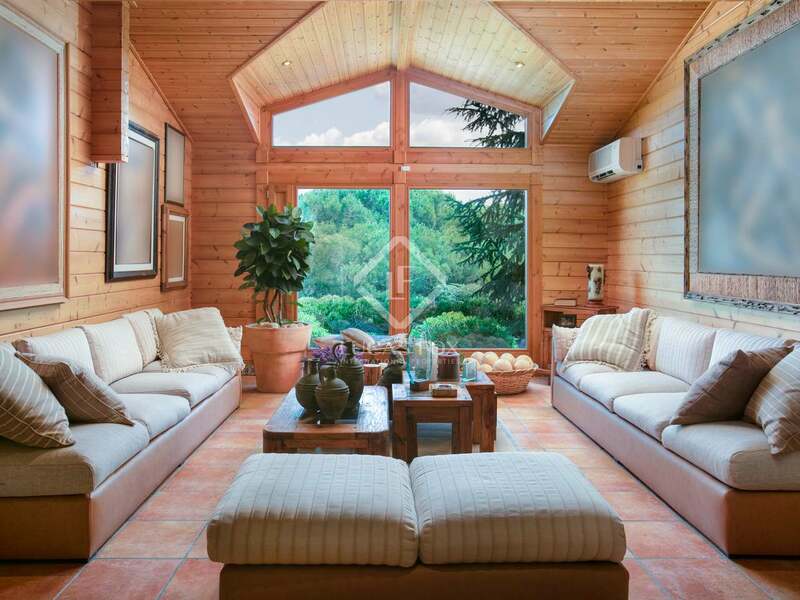 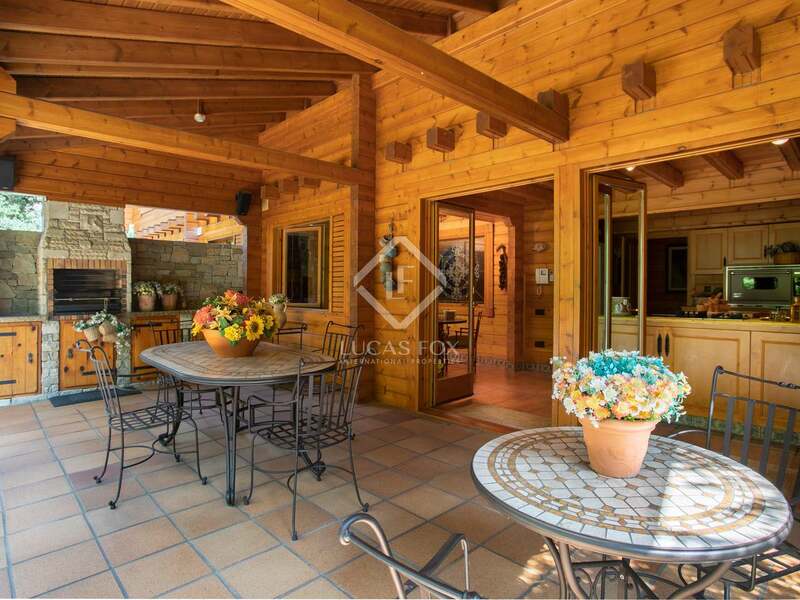 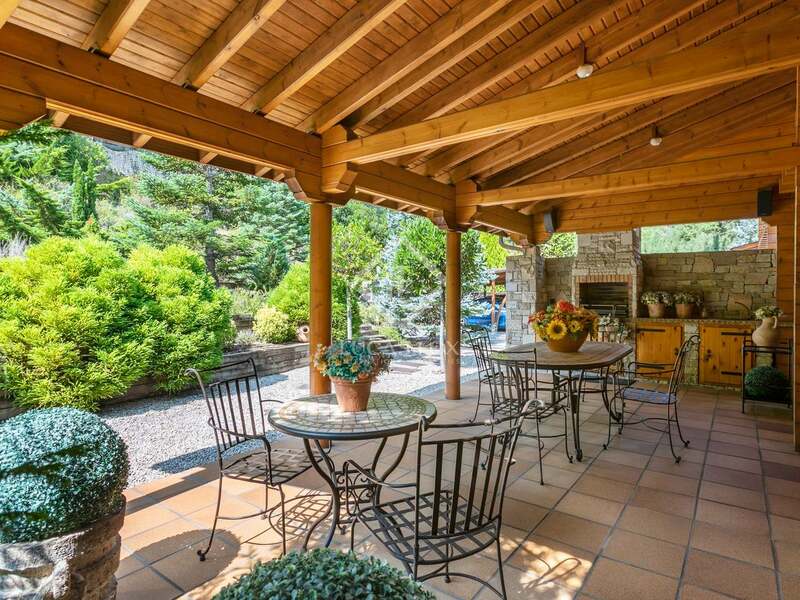 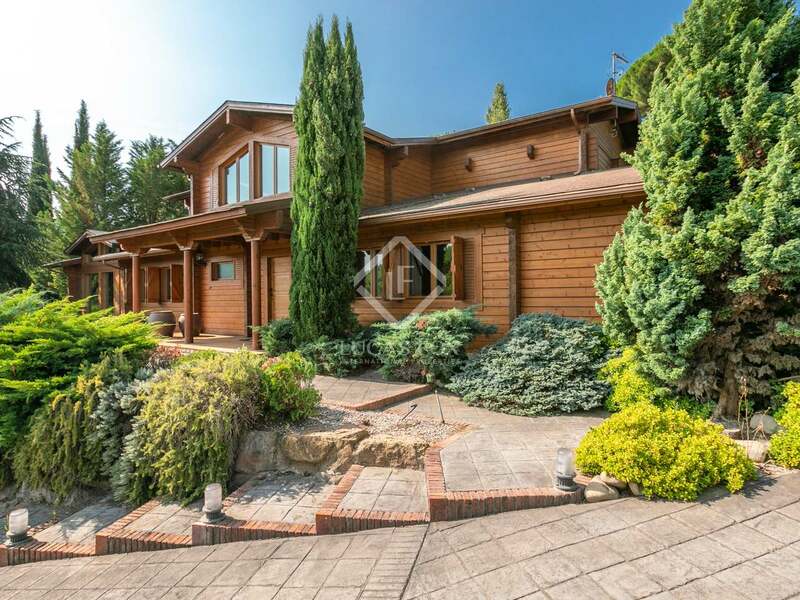 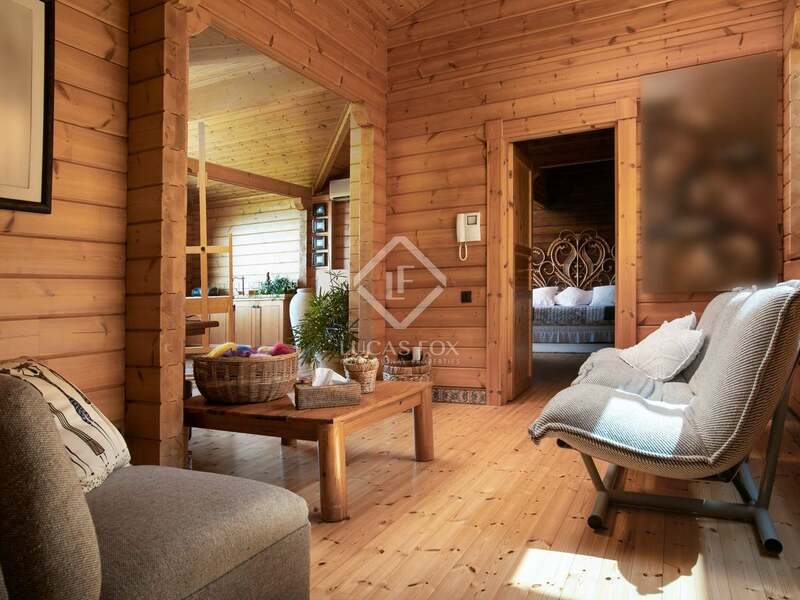 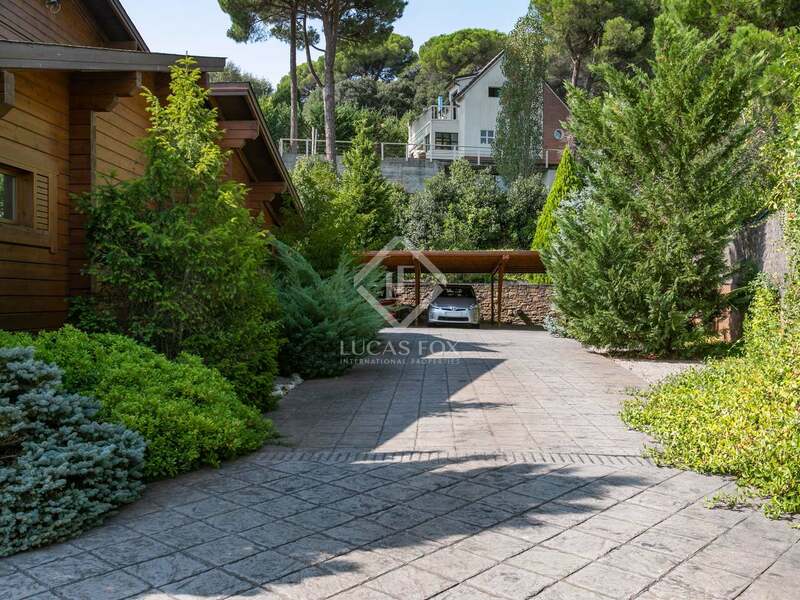 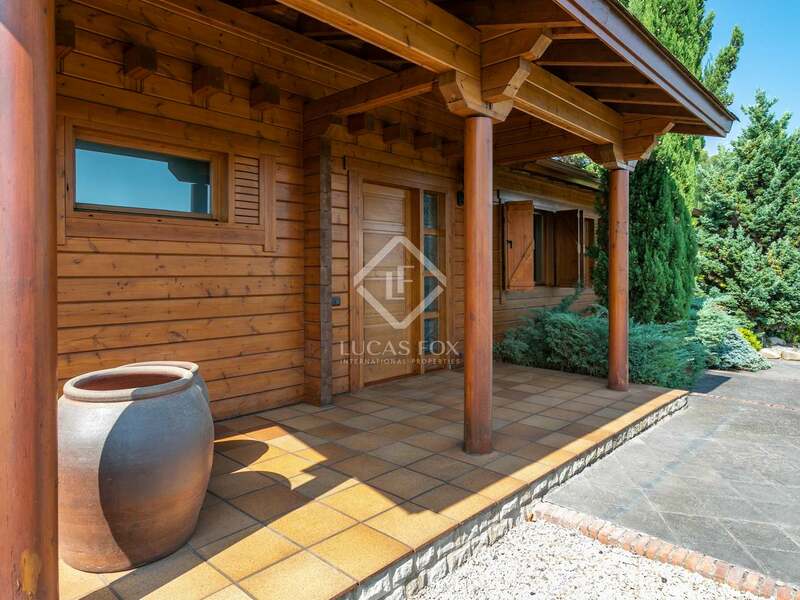 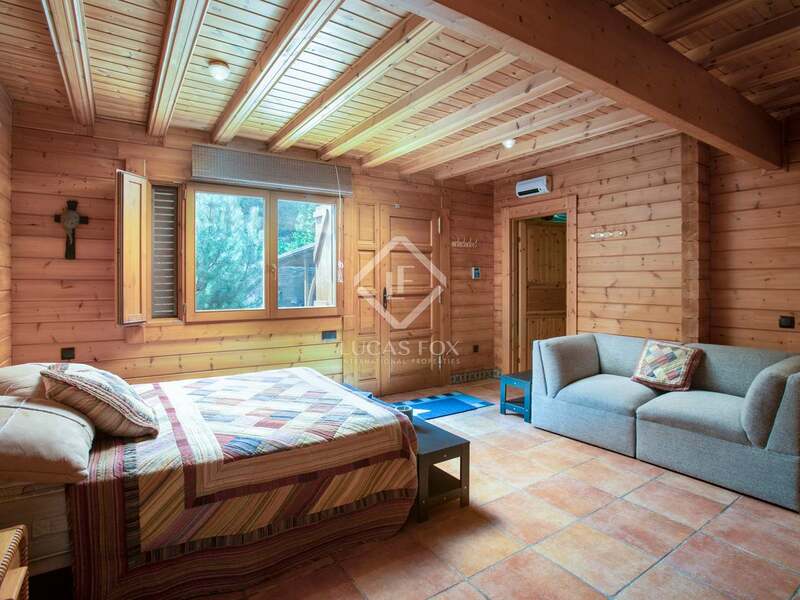 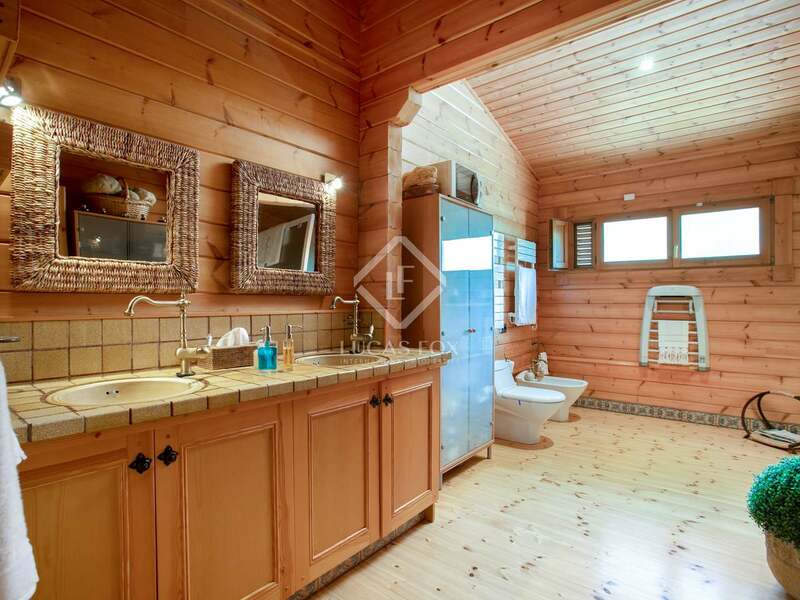 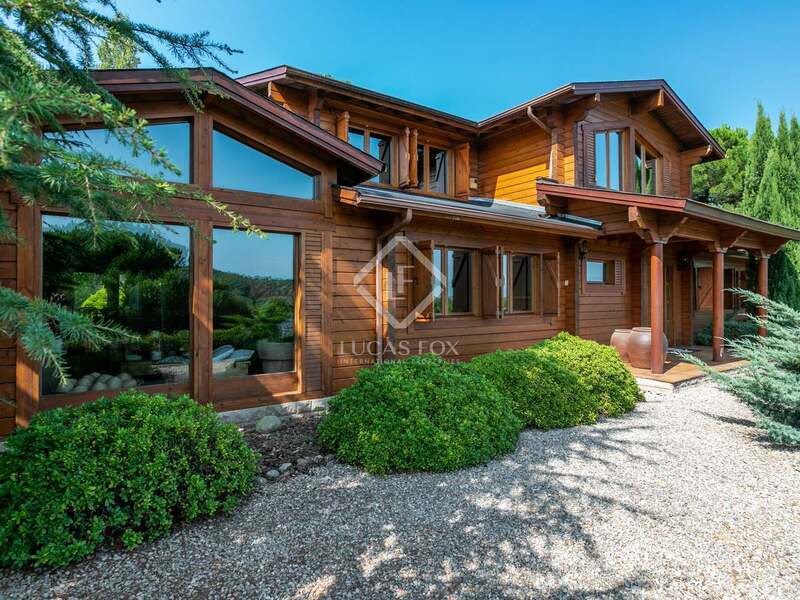 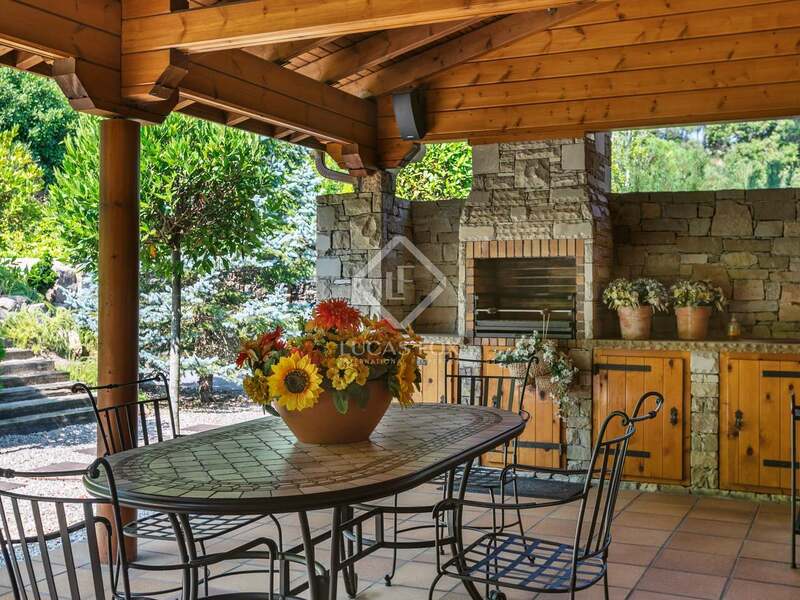 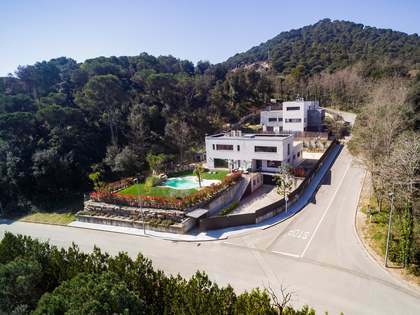 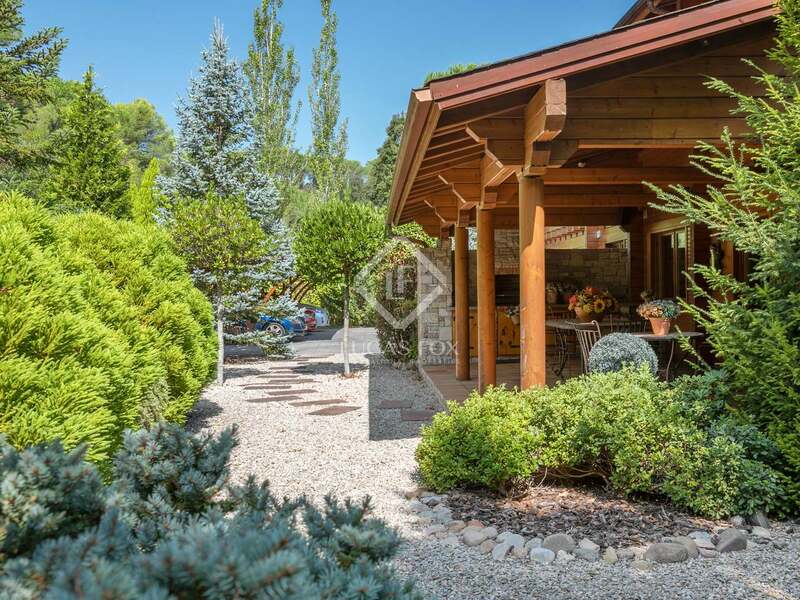 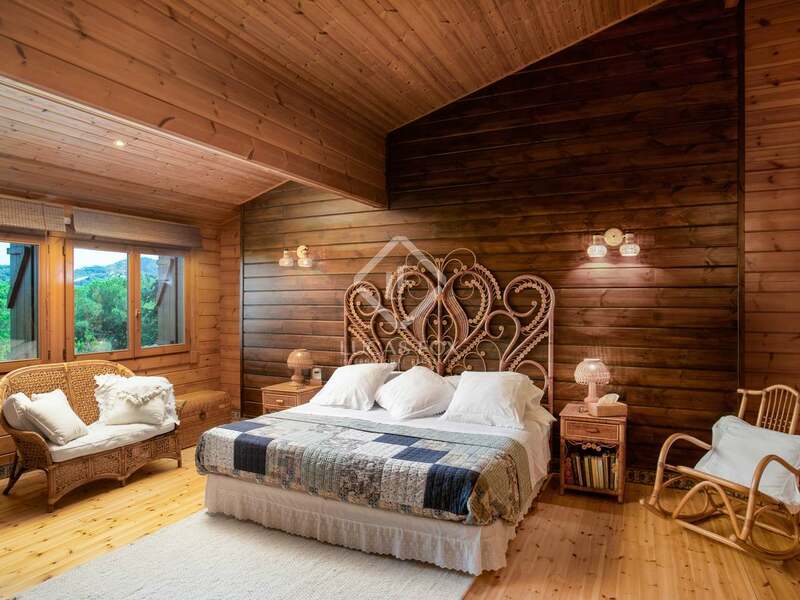 Unique 5-bedroom wooden villa designed in Finland and built on a peaceful 1,840 m² plot in Vallromanes, just 30 minutes from Barcelona. This elegant 488 m² villa was built in 2004 with good views over the golf course and out to the hills beyond. 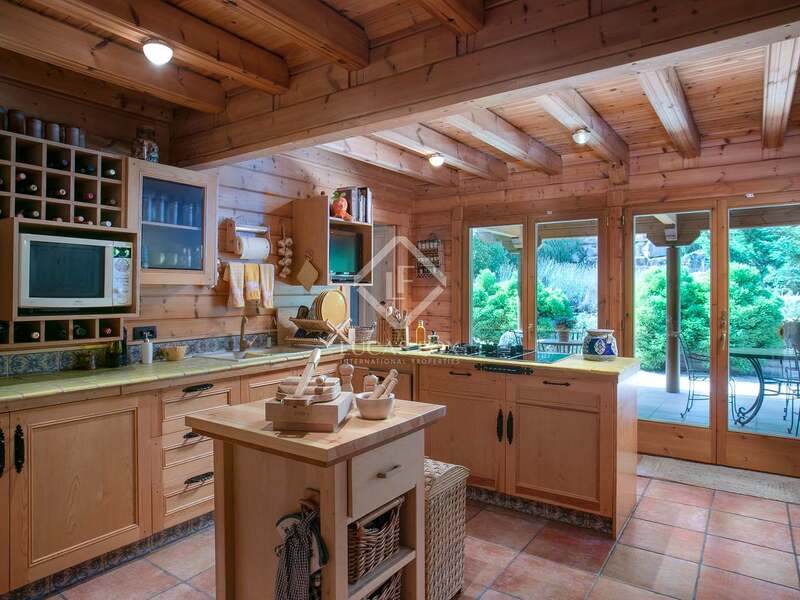 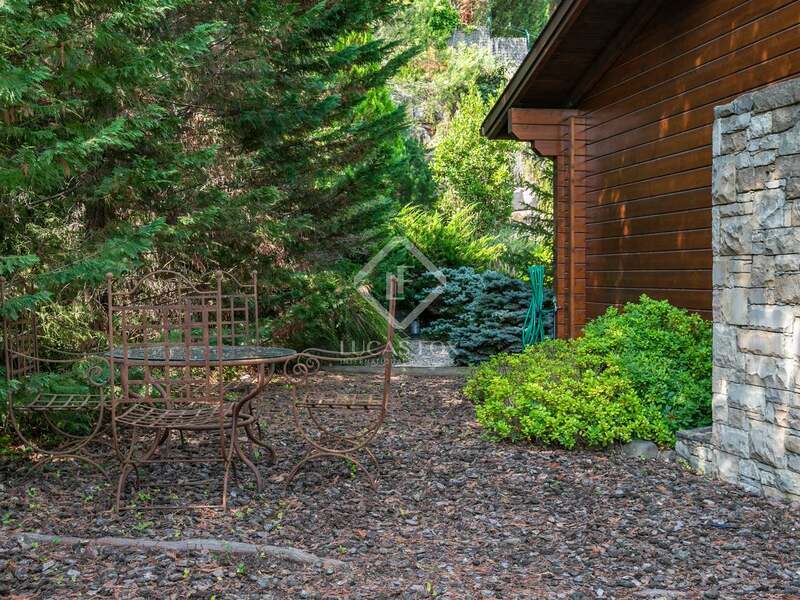 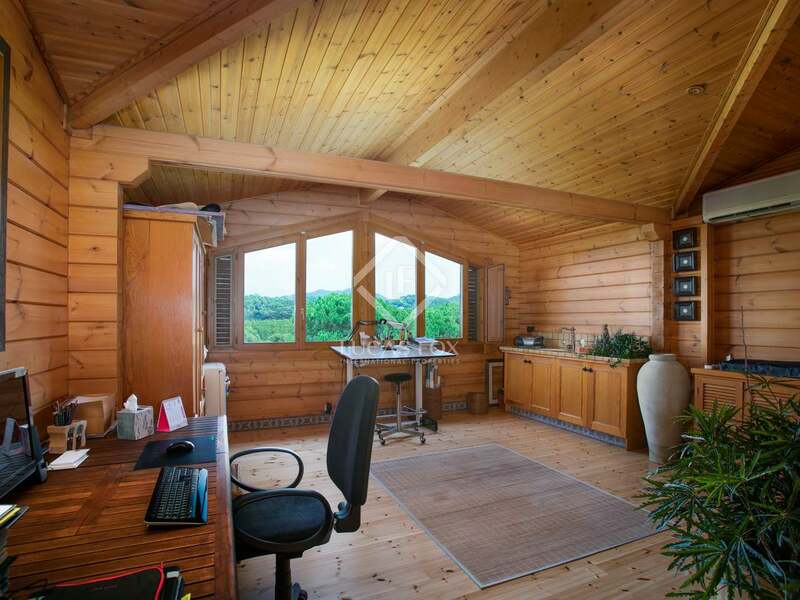 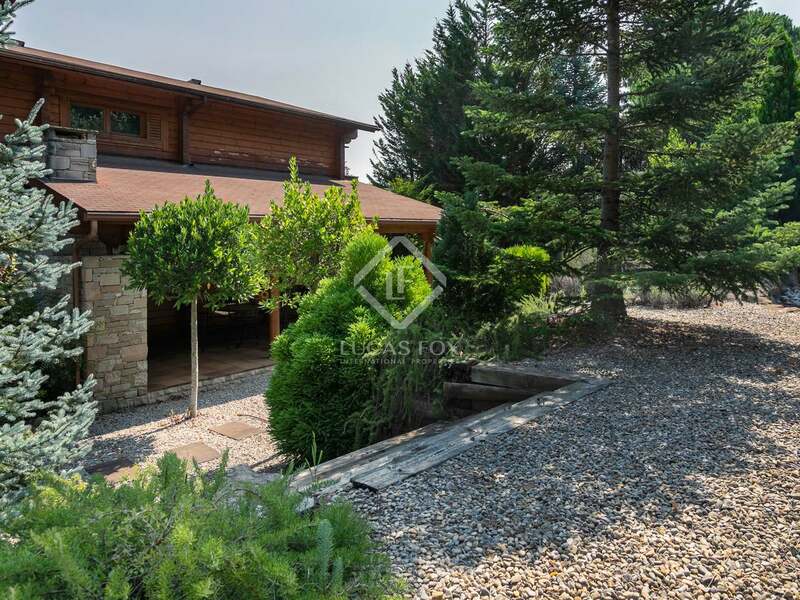 It is a well proportioned home that is arranged over 3 floors. 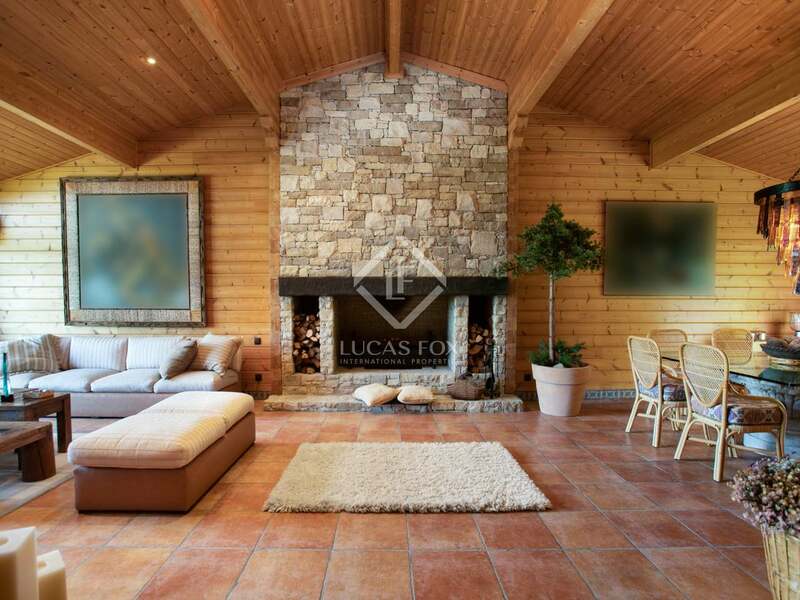 The ground floor features a large, living-dining room with a stone fireplace and high ceilings, a rustic-style kitchen with breakfast area, 2 double ensuite bedrooms with dressing rooms and bathrooms with showers, a further bedroom/study with bathrom, and a laundry room. 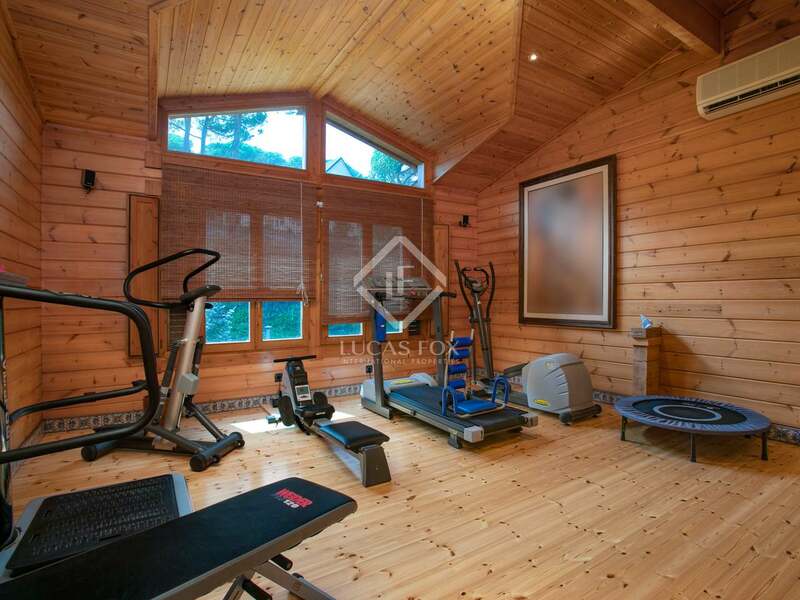 Upstairs there is the master bedroom suite with dressing room and bathroom with jacuzzi, a study, and a further double bedroom, currently used as a gym. 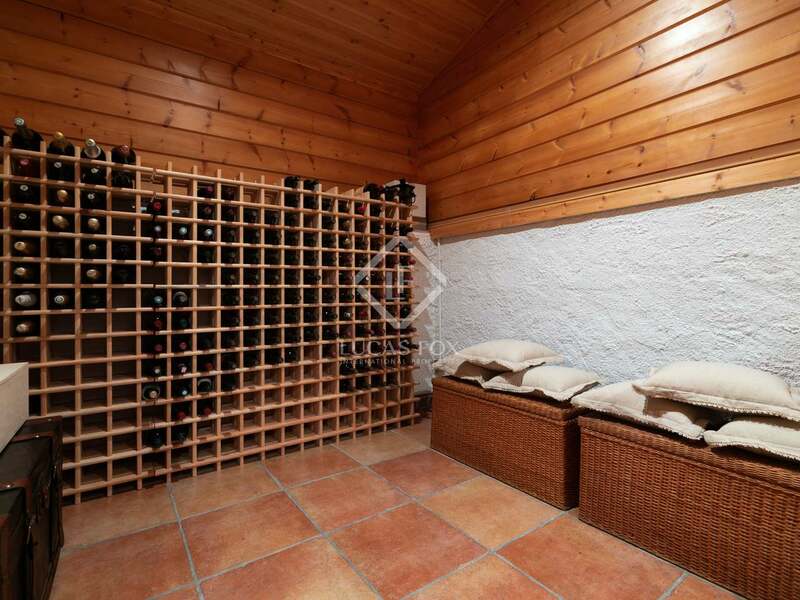 Downstairs the basement features a wine cellar. 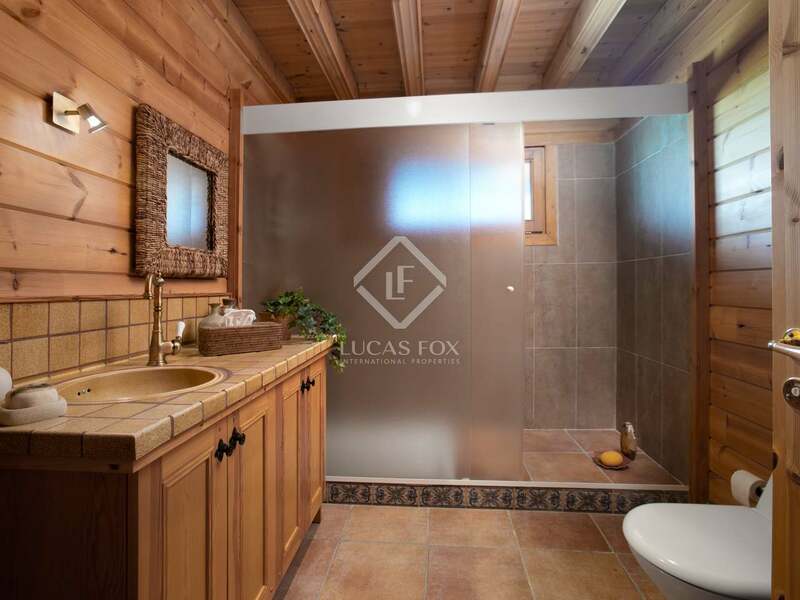 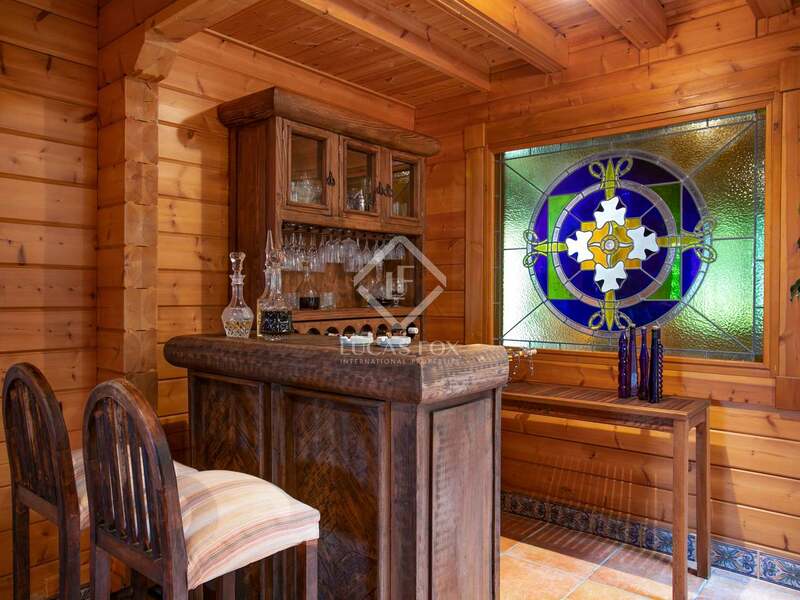 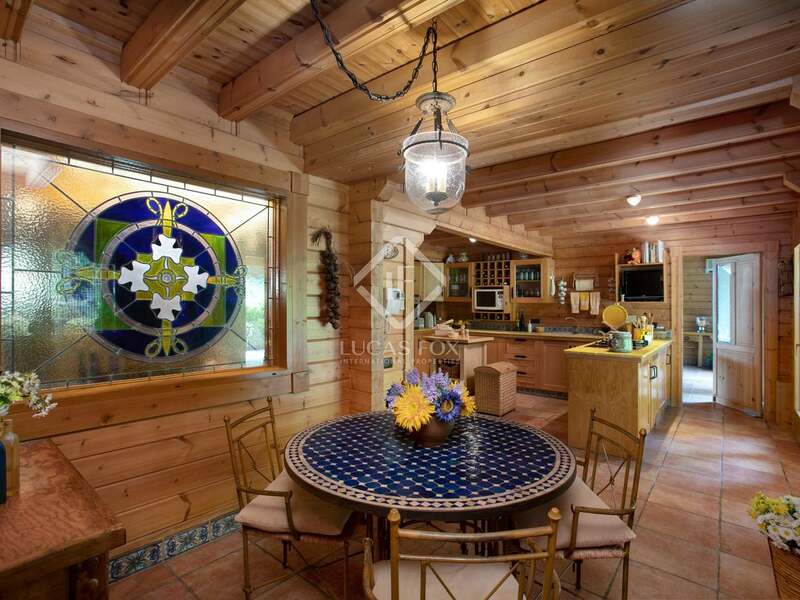 The house has hot/cold air conditioning and a propane gas tank for the hot water system. 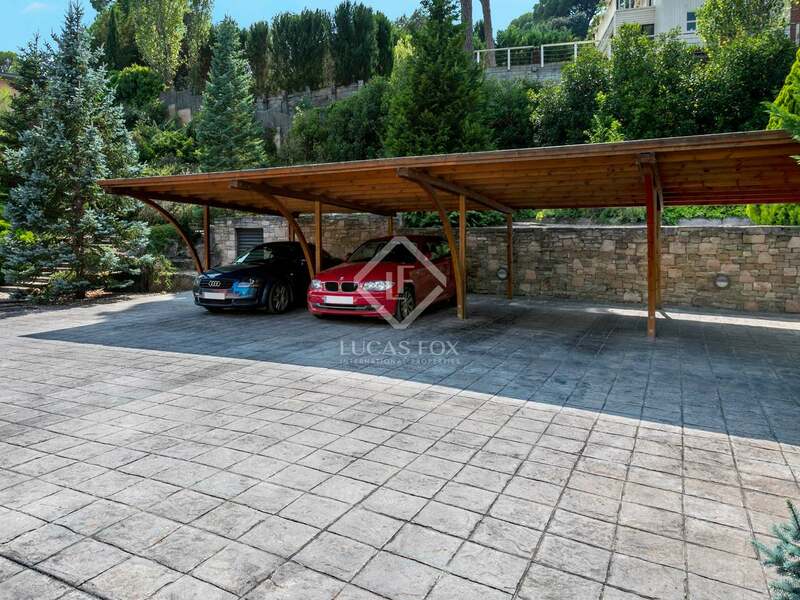 Outside, the property features an extensive landscaped garden with a fountain, undercover parking for 4 cars, and a barbecue area. 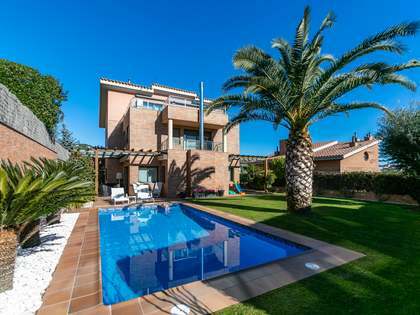 Contact us today to arrange a viewing of this unique home in Vallromanes. 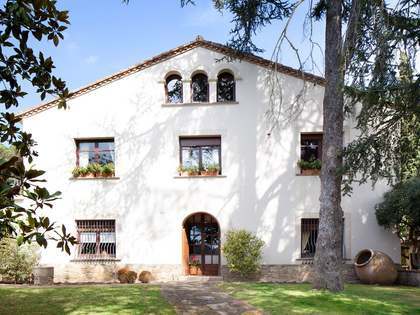 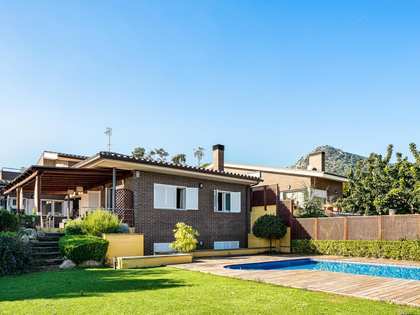 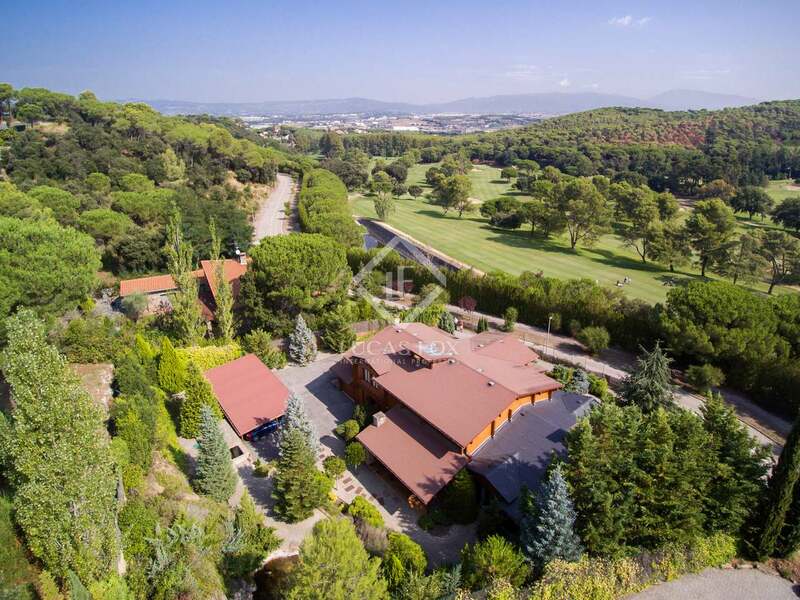 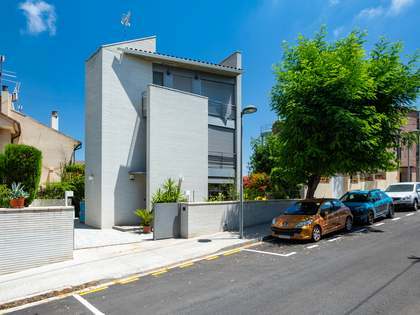 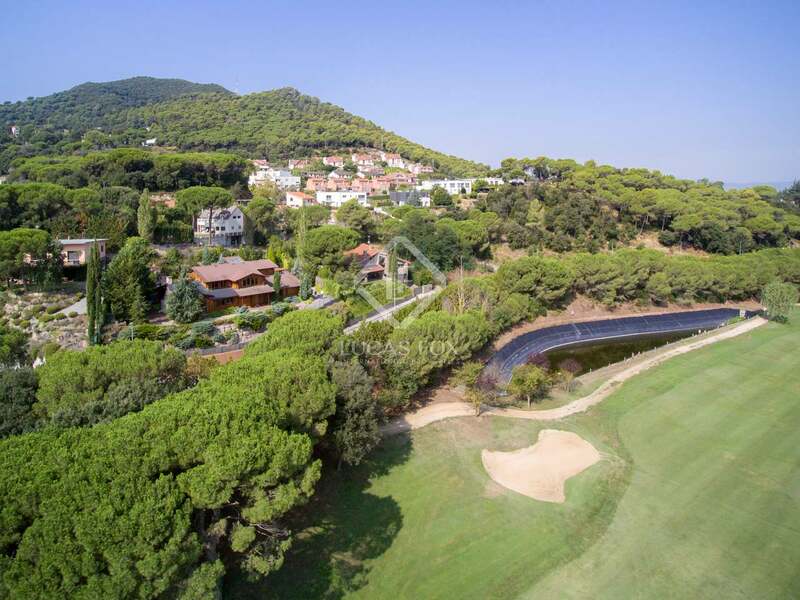 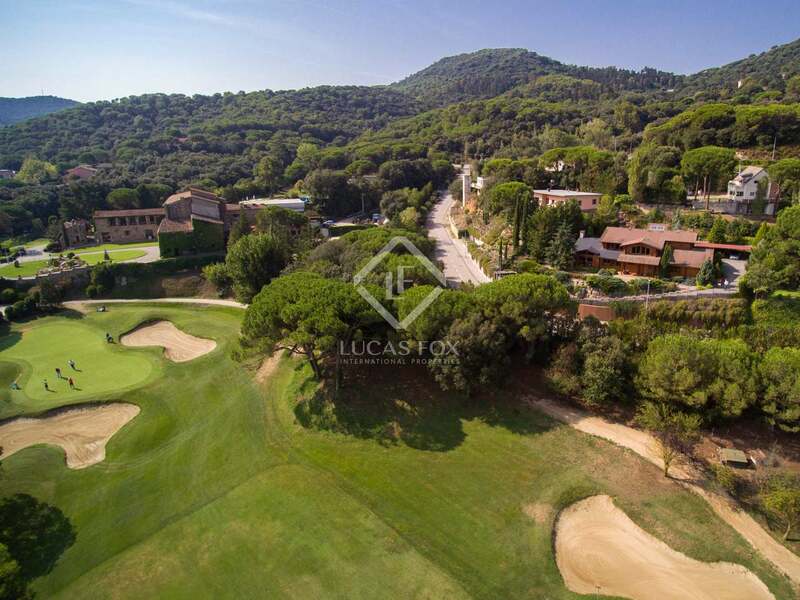 The house is located behind the prestigious Vallromanes golf course and is just 30 minutes from the centre of Barcelona. 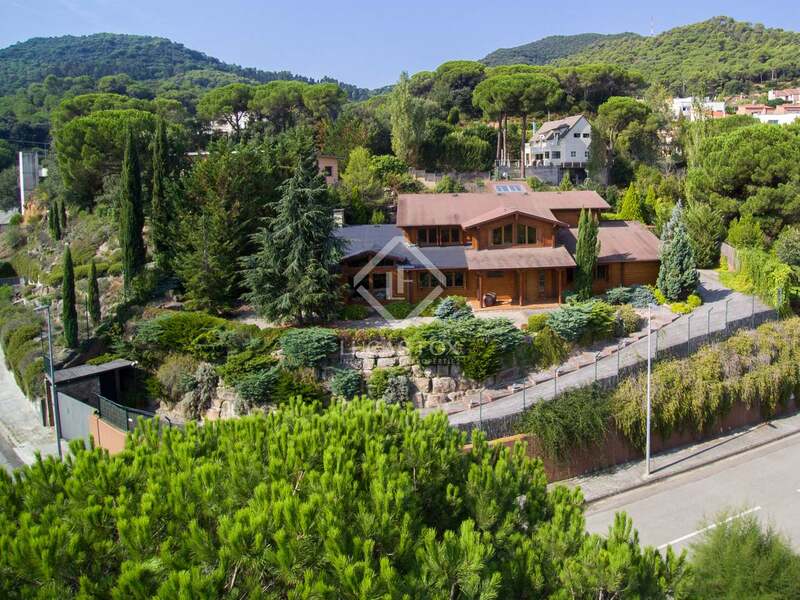 The sandy beach in El Masnou can be reached in 15 minutes by car as can an international school.